Both the House and the Senate are schedule to take up the DREAM Act this evening, though both chambers are voting on slightly different bills under different procedures. The House is scheduled to vote shortly on H.R. 6497, while the Senate moves to a vote on whether to proceed to its own version of the DREAM Act, S. 3992. Both bills are strong pieces of legislation which would allow the 65,000 young undocumented students who graduate high school each year to start a pathway to citizenship after completing two years of college or military service. Organizations and individuals from across the country—from California to Kentucky, Oklahoma to New York—have joined together to support the DREAM Act. Thousands of undocumented students and their supportive classmates and teachers have met with their members of Congress, sent letters, held rallies, and staged hunger strikes and other activities in pursuit of making the DREAM Act a reality. While both bills are similar to the original versions of the DREAM Act introduced in each chamber, they differ in key ways. Under the Senate version of the DREAM Act, applicants are treated as conditional nonimmigrants for ten years before being allowed to apply for permanent residence. The House version breaks this status up into two five-year periods, and requires students to apply for an extension of their conditional nonimmigrant status after the first five-year period has elapsed. The applicants would have to pay a $525 surcharge on the initial application and a $2,000 surcharge at the beginning of the second five year period. S. 3992 establishes one ten-year period of conditional nonimmigrant status without either fee. According to the Congressional Budget Office (CBO), the House version of the DREAM Act (H.R. 6497) would reduce deficits by about $2.2 billion and increase revenues by $1.7 billion over the 2011-2020 period. The CBO estimated that the Senate version of the DREAM Act (S. 3992) would reduce deficits by about $1.4 billion and increase revenue by $2.3 billion over the 2011-2020 period. These CBO scores affirm what we have known all along—that the DREAM Act is good for the economy, and that legalization leads to higher wages and therefore more tax revenues and higher consumption levels, and supports American jobs. 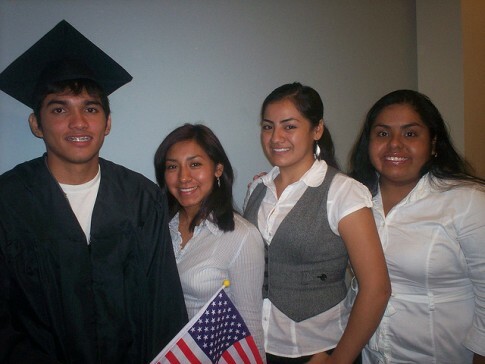 A 2010 study by the UCLA North American Integration and Development Center estimates that the total earnings of DREAM Act beneficiaries over the course of their working lives would be between $1.4 trillion and $3.6 trillion. In a 2010 report released by IPC and the Center for American Progress, Dr. Raul Hinojosa found that comprehensive immigration reform that includes a legalization program for unauthorized immigrants and enables a future flow of legal workers would result in a large economic benefit—a cumulative $1.5 trillion in added U.S. gross domestic product over 10 years. The higher earning power of newly legalized workers would mean increased tax revenues of $4.5-$5.4 billion in the first three years. Higher personal income would also generate increased consumer spending—enough to support 750,000–900,000 jobs in the United States.